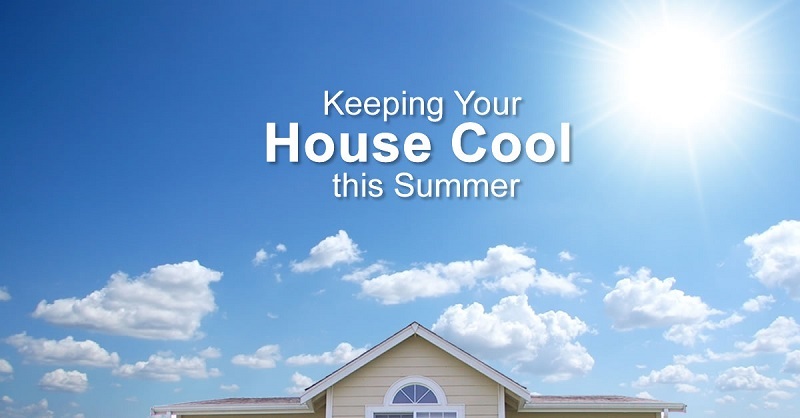 Here we are with the top 10 most effective tricks to keep cool in summers as this summer it is hard to live without an air conditioner, but not if you use these tricks. Do not allow the unwanted heat to enter the room from the windows. This you can do by keeping them closed and covered with help of shades and curtains. Decorate the windows of your room with the blackout curtains that will block the sunlight. This will lend your room a natural insulation. Instead of closing the doors of the rooms in your house, leave them open as this will allow the air to flow. This natural flow of air will help to keep the room cool. You need to fill a bowl or any container with the chilled ice and then place it in front of the fan. This will do magic by making the air cool. Make use of the cotton sheets as these help you stay cool in summers. Cotton is efficient to breathe a bit easily and at the same time helps you to stay cool. In addition to this, a buckwheat pillow will be a good choice as it has air space between them and will not hold your body heat. Not many of us know that we need to adjust our ceiling fan according to the seasons. You need to set them in a way that these run counter-clockwise at quite a high speed. Doing so will create a wind-chill breeze effect that will further help to cool down the temperature of your room. You can simply cool down your body by following certain ways. Simply you can have the chilled drinks or you can place a chilled cloth on the strong-pulsed areas that include your neck and wrists. You can also wear cotton cloths that can help you soak the sweat and go in for loose clothes that do not cause irritation. The noisy exhaust fan in your kitchen and the washroom will help your apartment to get rid of the hot air and cool your house. So, make use of these so as to enjoy the cool sleep after a really tiresome job. Place the Chillow right under your head and freeze water bottle at the foot of your bed prior to going off to sleep. You can also dampen your sheets slightly or else pop them into the freezer before you go to bed. This will help you a lot to keep you cool. Try to make use of the downstairs couch or basement, as heat is known to rise. In case you can then you must prefer to put your mattress on the floor. You will realize that it is a lot cooler there. All in all, you can keep cool with these top 10 most effective tricks to keep cool in summers.